Today’s Challenge: Shovel snow for a neighbor. 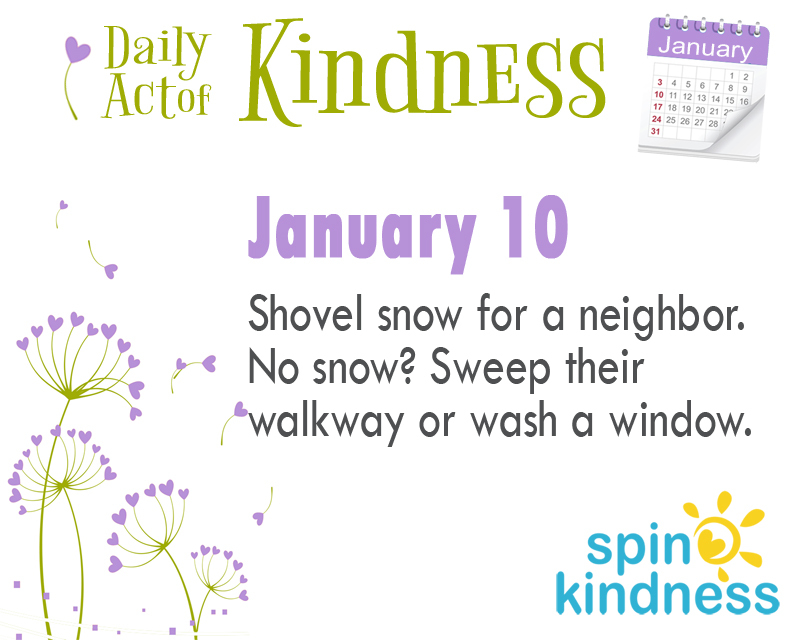 If there’s no snow, sweep a walkway or wash a window. I’m on the west coast where it is just a little rainy. But, according the national forecasts, that’s not the story across the country. It’s been a snowy month for much of the US. Share your experience with us in the comments or using #spinkindness on Facebook or Twitter!